From the left are: Anne Bailly MICA member, John Baird, Gerald Keddy and MICA director Sherry Swinamer. 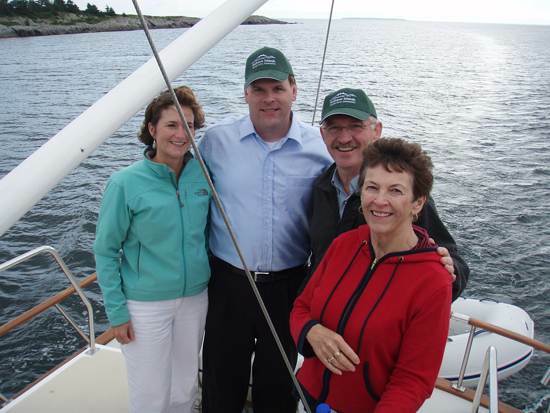 Mahone Islands Conservation Association directors and members took Federal Environment Minister John Baird, and South Shore-St. Margaret's MP Gerald Keddy on the water last week, to tour the fabled Mahone Bay islands and learn how MICA has successfully worked to bring eight properties into public. The latest project is to raise $200,000 in pledges to kickstart the purchase of Sacrifice Island.